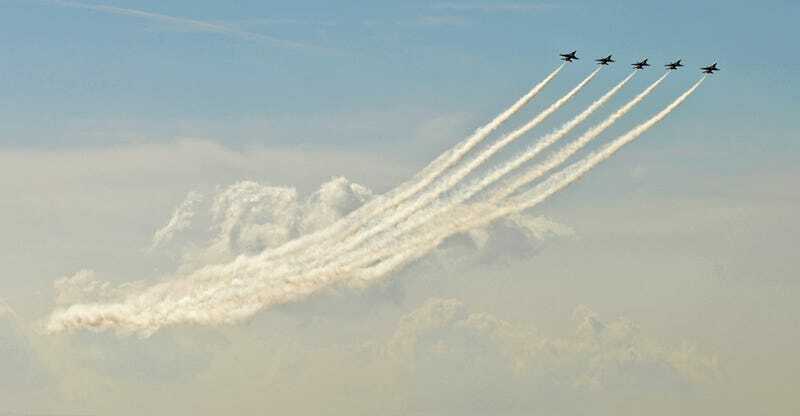 I love this spectacular picture of the US Air Force Thunderbirds flying in perfect unison into the sky because the trail they leave behind look like the fingers of a cloud monster giving the jets a boost into the air. And because they're above the clouds, it almost looks like they're flying on a Hoth-like different planet. A formation of the U.S. Air Force Thunderbirds fly over the "High Desert" valley during the 2015 Los Angeles County Air Show March 22, 2015, at the William J. Fox Airfield in Lancaster, Calif. The Thunderbirds were the headline performers at the two-day event.